Do your Clients Know How Secure Your Not? 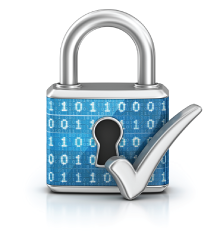 Clients depend on the services your business provides and trust that their information will be kept secure. They also need the confidence that you have the infrastructure in place to adhere to a growing number of industry requirements. Building security into your business and IT processes and integrating it with your existing technology infrastructure and investments has never been more critical. Driving this need is the exponential growth of data center transformation, virtualization, social business, mobility and attack sophistication. To address these issues, you need to be able to make faster and more intelligent business decisions surrounding your overall security and risk management. KDSI’s managed security services help clients manage the complex realm of their security needs – from compliance and audits to policies and architecture. And with round-the-clock, end-to-end protection against cyber criminals whose attacks on organizations and agencies are growing at alarming rates, Kilobytes can provide the peace of mind to focus on what’s most important – growing your business and serving customers. 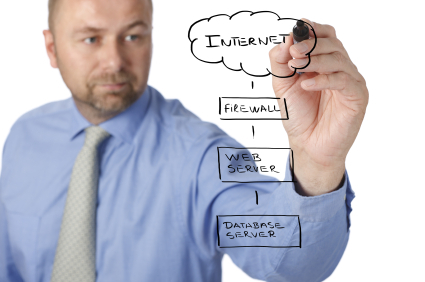 IT and network security are top priorities for any organization. Internal and External threats to systems and data can impede business innovation, limit productivity and damage compliance efforts. You need preemptive threat mitigation solutions that protect your entire IT infrastructure. Kilobytes security services provide IT and network security solutions to protect endpoints, applications, systems and networks. Our services leverage the latest vulnerability and threat intelligence that today’s security solution manufactures have to offer. And with a suite of multiple services, we can help you deliver an end-to-end solution, from hardware to software to services. Please call us to have a conversation on what your issues are and how we can help. The automated process of proactively identifying security vulnerabilities of computing systems in a network in order to determine if and where a system can be exploited and/or threatened. While public servers are important for communication and data transfer over the Internet, they open the door to potential security breaches by threat agents, such as malicious hackers. Vulnerability scanning typically refers to the scanning of systems that are connected to the Internet but can also refer to system audits on internal networks that are not connected to the Internet in order to assess the threat of rogue software or malicious employees in an enterprise. We can help you better understand how to properly secure your network servers and hosted applications. Call us now. In security terms, compliance means that your business adheres to certain requirements for security management, policies, procedures, network architecture, software design and other critical protective measures. In operational terms, it means that you are playing your role to make sure your customers’ data is being kept safe throughout every transaction, and that they – and you – can have confidence that they’re protected against the pain and cost of data breaches. Kilobytes can assist your business in adhering to multiple security compliance standards and in most cases can do the preparations for official compliance audits as well. 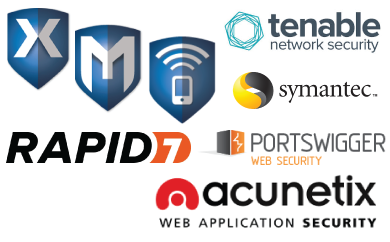 We employ several staff members that are certified in multiple industry standard security certifications that also bring a wealth of information in network and application security architecture. Because of their cross disciplinary experience they can assist your staff on multiple levels bringing more value to the table. Security and management have traditionally existed as two separate disciplines, yet both play a central role in keeping your users safe and productive. 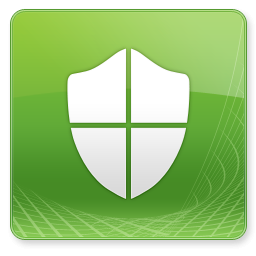 Microsoft System Center 2012 Endpoint Protection (previously known as Forefront Endpoint Protection) allows you to consolidate desktop security and management in a single solution. Built on System Center 2012 Configuration Manager, System Center 2012 Endpoint Protection provides a single, integrated platform that reduces your IT management and operating costs, in many cases using your existing client management infrastructure to deploy and manage your endpoint protection. The unified infrastructure also provides improved visibility into the security and compliance of your client systems. Contact Us to get a quote. 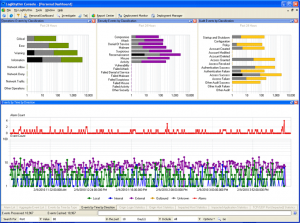 Logs are generated by a lot of devices in an organization. In one branch alone, there are so many devices (Like Routers, Firewalls, IDS, IPS etc) that can generate a lot of logs which need to be tracked and monitored constantly, for unauthorized access, indications of network threats, etc. Occasionally, it may even be required to find out what a particular user did on a particular date and time (forensics) by sorting through all those logs. Now imagine a hundred servers in many office branches across multiple geographic locations! That is why, enterprises ought to know about SIEM – Security Information and Event Management and Kilobytes live Security Monitoring services. Kilobytes can provide the hardware and software that your company needs to run its entire security monitoring system. If you need to know what’s going on at every moment with every section of your network, applications and systems. Call us to check out all our Security Monitoring Solutions. Maximize employee satisfaction and productivity by supporting a protected Bring Your Own Device (BYOD) work environment. 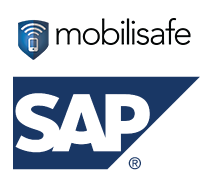 Our enterprise mobility management solutions, using products like SAP Afaria and Rapid7’s Mobilisafe, can help your IT department secure personally-owned mobile devices and business apps – for less pressure on IT and a better work-life balance for your employees.